[grow_thumb image=”http://telecareaware.com/wp-content/uploads/2014/04/Thomas.jpg” thumb_width=”150″ /]Care for elderly and disabled goes off the tracks again. A report in the Health Service Journal (subscription required), covered in an opinion piece in the Guardian, indicates that thousands of patients who are disabled and also those who require long-term care may be forcibly put into care homes (US=nursing homes) rather than being treated and maintained in home care. According to the HSJ, “Freedom of Information (FOI) requests from campaign group Disability United found that 37 NHS clinical commissioning groups (CCGs) in England were introducing rules about ongoing care that could force up to 13,000 people with health conditions into care homes.” CCGs due to NHS cuts have been setting limits on financing home care, between 10 and 40 percent above the care home option. In other words, where a care home is cheaper, the CCG will withdraw payment for home care, and unless the individual can self-pay or has an advocate who can organize a care plan, that person may be involuntarily moved. The word ‘institutionalization’ deservedly strikes fear on both sides of the Atlantic as a recipe for patient decline, physical and verbal abuse, theft and generally bad care. It’s a blunderbuss solution to ‘bed-blocking’ which we discussed here [TTA 7 Sep 16]–the care plan becomes ‘move ’em out’. By going this way in policy, NHS England is going counter-trend, against more personalized care delivered in home settings, and setting an unfortunate trend for other countries like the US. Outside the scope of the article, but in this Editor’s thoughts, is the knock-on effect it will have on the UK’s developers and providers of telehealth and telecare services/TECS designed to support home care. Many of these technologies are in a transition period to the greater capabilities (and freedom from land line) of digital from analogue care, which was discussed in TTA here. Cutting domestic demand may not only be critical not only to companies’ survival, but also to their expansion in the (now far more open to the UK) US market. Readers’ thoughts? Breaking News from Washington Judge John B. Bates of the Federal District Court for the District of Columbia ruled today (23 Jan), as expected, against the merger of insurance giants Aetna and Humana. Grounds cited were the reduction in competition for Medicare Advantage plans, where both companies compete. “In this case, the government alleged that the merger of Aetna and Humana would be likely to substantially lessen competition in markets for individual Medicare Advantage plans and health insurance sold on the public exchanges.” The decision could be appealed in the US Appeals Court for the DC Circuit, or could be abandoned for different combinations, for example a rumored Cigna-Humana merger, or smaller companies in the Medicare/Medicaid market such as Centene, WellCare, and Molina Healthcare. Certainly there is money about: Humana would gain a $1 bn breakup fee from Aetna, and Cigna $1.85 bn. DSRIP 2017 and readmissions may not sound very interesting, but the presentations by Veyo‘s Josh Komenda on how transportation assistance can also aid compliance, and the discussion on the missing link of population health may be social determinants of health care, are. “The Patient Room of the Future’ by Joan Saba, partner of NBBJ Architects. Responding to this Editor’s question via Twitter on how design can prevent nosocomial (healthcare-acquired) infections, I was directed to an excellent Becker’s Hospital Review article written by two of their firm’s leaders. The very last presentation, ‘Resuscitating the Child’, was one of the finest and may also break your heart. Peter Antevy, MD, medical director of two EMS in Palm Beach County, Florida, presented the human cost of both EMTs/paramedics in rescue and the frustration of not having the proper tools to calibrate medication and procedures quickly on a patient who cannot be administered full doses, all in emergency situations. His company, Pediatric Emergency Standards, is developing software that can do so quickly and on-scene. Dr Antevy’s passion for his work and for applying technology to this situation is abundantly present. NYeC Digital Health Conference final presentations page. TTA was a conference/media partner of the 2016 NYeC DHC, and thanks Jesse Giuliani and Andie Egbert for their invitation and coordination assistance. UKTelehealthcare’s new Managing Director Gerry Allmark was kind enough to advise Editor Donna of upcoming events either organized by UKTelehealthcare, or where they will be represented. His note is reproduced here with minor edits and emphases. Click their advert on the right sidebar or here, which directly links to their special About/Upcoming Event page, for more information. As part of our national expansion of events and membership we plan to hold MarketPlaces in Luton, Bristol, Nottingham, Dudley and Halifax as well as a high profile London event in 2017/18. Please see the “Coming up at a glance” section on the first page of our website (see link here) for the latest news on these events. We will also be exhibiting at Naidex 2017 from the 28 to 30 March and at the Health + Care Show on the 28 and 29 June 2017. At both these shows we will be offering special show price membership rates to both provider and supplier members as well as our new membership categories for Clinical Commissioning Groups, Consultants and RPI members. In conjunction with the H + C Show we will also be expanding our successful Telehealthcare Awareness Day which we have run for the last two years to Telehealthcare Awareness Week which will run from 26 – 30 June 2017. During this week we encourage our members and other TEC providers and suppliers to run local events to raise the profile of health technology in their areas and we will publicise these events though our social media links and website. A Telehealthcare Awareness Day pack / toolkit will be available on our website shortly for both members and non-members who would like to take part in this important event. TechLaw: NDAs are not one size fits all; they are dangerous! In the world of tech deals — more than other types of deals — my clients want to sign nondisclosure agreements quickly. I’m sure that many people will disagree with me on this one, but I like to avoid NDAs in the early stages of a deal. My feeling is that you shouldn’t be exchanging secrets with strangers and that doesn’t change no matter what they’ve signed. Experience tells me that most deals at the “initial feeler” stage never reach fruition. It’s a long way from that first lunch to a closing and a bottle of champagne. I say skip the paperwork and legal entanglements until you’ve at least gone as far as thinking: “This is getting interesting and serious.” In the meantime, keep your secrets to yourself. Usually, you can get through the early stages of a negotiation with a demonstration of what “it” can do without revealing how it does it. Of course, if what it does is as much a secret as how it does it, then my generalization may not be true for you. In case you’re not familiar with NDAs, the idea behind them is that you’ll reveal confidential information only if the other side agrees not to improperly disclose or use the information. Right here, it starts getting tricky because you have to decide to whom they can disclose it and for what use. Watch out for a form with a line for your company name. If you’re tempted to sign it, I have some simple advice: Don’t. Not ever. UKTelehealthcare, the membership association which supports health and care professionals and suppliers in delivering the widest choice and range of appropriate Technology Enabled Care Services, announced the retirement of John Chambers. Mr Chambers and Doug Miles founded the holding company of UKTelehealthcare, London Telecare Ltd., in 2005. He stepped down as a director at the end of November but will continue to be involved through his shareholding and consulting, especially in PR and marketing. Mr Miles will remain as a director and Chairman. Taking the roles of managing director and company secretary are Gerry Allmark, who joined UKTelehealthcare from Bosch Healthcare three years ago, and Julia Allmark, an IT specialist. Release (top of news page). TTA also happily supported the Dementia Dog fundraiser in memory of Tynetec’s Billy and Lisa Graham that achieved their £15,000 goal on JustGiving to train a dog to support people with dementia [TTA 5 Dec]. Up on Twitter is a 30-second snippet of a program dog trainer explaining the bonding process. According to the JustGiving listing, Independent For Longer will be following the dog’s progress during training; also see #DogsforGoodUK. 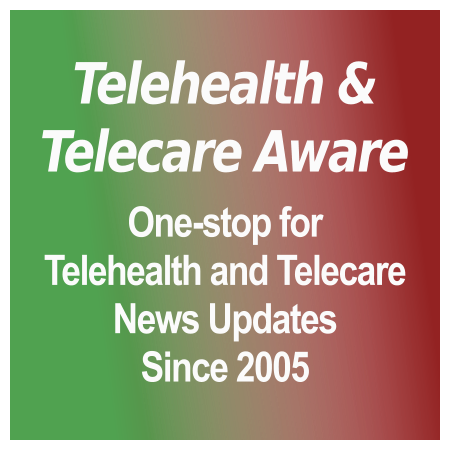 Both UK Telehealthcare and Tynetec (Legrand) are long-time supporters of this website. The latest from The King’s Fund on the upcoming Digital Health and Care Congress, 11-12 July (only six months from now!) is in this video now available on Vimeo. It gives a great overview of how digital health has to be integrated to improve care in the NHS and also in other countries, and the scope of its effects on clinicians, HIT, and patients. This Editor has also received word that the successful projects submitted in the meeting’s call for papers will be announced on Friday 20 January, and that the full programme will be announced at the end of this month. The King’s Fund’s event page; the Digital Health Congress fact sheet includes information on sponsoring or exhibiting. To make the event more accessible, there are new reduced rates for groups and students, plus bursary spots available for patients and carers. At another part of RDECOM located at the Aberdeen (Maryland) Proving Ground, US Army Research Laboratory researchers have simulated brain texture and mass through a specially designed gel. These nanomaterials are designed to fluoresce at graduated intensities under pressure. The goal is that researchers can track blast effects on the brain at the cellular level. ARL research in this area is jointly conducted with counterparts in the Japanese Defense Ministry, where researchers are contributing their knowledge of physiological effects such as cortical depressant, blood circulation and oxygen levels in tissue. ARL News, YouTube video. Both tracks of research are designed to protect soldiers in the field from TBI, and better understand the effects of blast-created trauma to the brain. The purpose of this contract is to retain Outside Counsel to aid the Arizona Attorney General’s Office (the AGO) in commencing legal action against Theranos, Inc. and its closely related subsidiaries for violations of the Arizona Consumer Fraud Act arising out of Theranos Inc.’s long-running scheme of deceptive acts and misrepresentations relating to the capabilities and operation of Theranos blood testing equipment, including but not limited to deceptive acts and misrepresentations made to Arizona consumers in connection with Theranos Wellness Centers in Arizona and California. Upon retention, Outside Counsel will assist the AGO on a contingency fee basis per the terms set forth in this Request for Proposal. Arizona’s involvement with Theranos went above and beyond ‘deceptive acts and misrepresentations’ made to Arizona consumers. As we noted last September in Chapter 20, in early 2015 lawmakers quickly deregulated blood testing to permit direct consumer order of blood tests, after Elizabeth Holmes and company swept in and turned the governor and legislators quite ga-ga. It turns out the unimpressed Arizona Medical Association was on the mark in their objections. So undoubtedly this first move by a state entity is Powered by Embarrassment. One wonders which law firm out of their lengthening list Theranos will choose. (See Chapter 29) Bids are due by 27 Jan. Hat tip to Bill Oravecz of Stone Health Innovations. See here for the 32 previous TTA chapters in this Continuing, Consistently Amazing Saga, including the firing of 155 remaining staff (Ch. 32), the resignation of General Mattis from the BOD (Ch. 31), and Theranos’ annus horribilis (Ch. 30). [grow_thumb image=”http://telecareaware.com/wp-content/uploads/2016/11/belt.jpg” thumb_width=”150″ /]Editor’s Note: We are reprinting this article (originally from 23 November 2016) due to the comments by the CEO of ActiveProtective, Drew Lakatos, on 10 and 12 January, responding to the reasoned misgivings of one of our Readers. (Click ‘read more’ and scroll to comments at the end of the article.) This unusual step is being taken because this Editor believes that the problem is major–adults at high risk of falling and hip fractures. A technology solution such as this is worthy of examination by our Readers and further debate. Do you believe older adults at high fall risk would voluntarily wear a belt that would deploy cushioning air bags around the hips in the event of a fall? 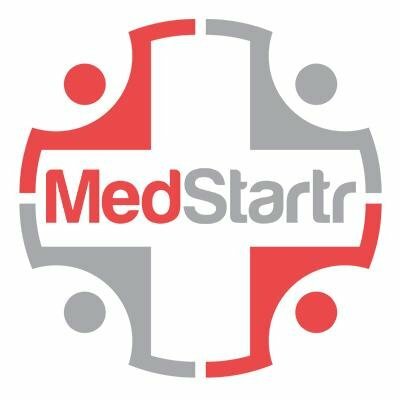 This Editor was initially skeptical reading the MedCityNews article on ActiveProtective‘s $2.6 million Seed 3 round raise. The belt, looking at their photo and the one on the ActiveProtective website (left above), looks like a hard and uncomfortable ring, which didn’t make much sense as the ring in a fall impact could itself create injury. There was also a brief mention of fall detection but not how they worked together. There’s an open assistive technology tender issued by the North Yorkshire County Council closing on 31 March. It doesn’t say ‘telehealth’ but describes needs for a patient-monitoring system, emergency and security equipment, surveillance and security systems, sensors, GPS, health/social work and community health services which are in the aggregate quite close. Award appears to be shortly thereafter but listed as 1 April. Duration is one year out to 31 March 2018. Registration is required on the YORtender website for DN198838 (Historical Ref: CONTRACT-A8SL-W8IAL7) and the contact is Matt Clothier of NYCC. Hat tip to Susanne Woodman, our eye in the sky for tender opportunities.